A group of owners of properties along a river in North Palm Beach are fighting back against a company’s claim that it owns the submerged land behind their properties. 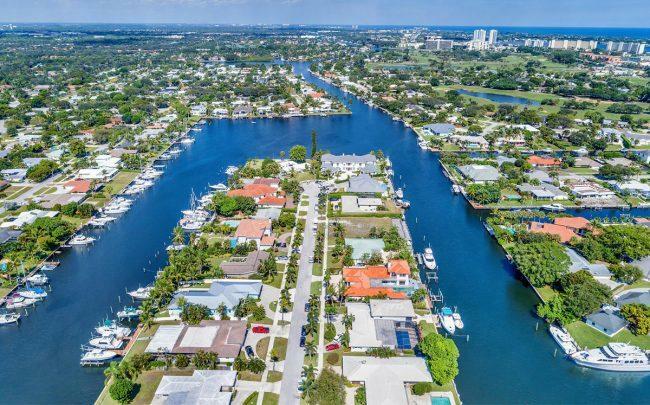 For more than 20 years, dozens of owners have received demands from North Palm Beach Properties Inc., which wants to sell off the Earman River it says it has owned since it began building homes there in the 1950s. But the family behind the company has ramped up its efforts to sell the land, demanding $40,000 or more from owners of the waterfront properties, with the threat of selling to “somebody who would have maybe … a more devious look at what they want to do,″ according to a Palm Beach Post investigation. The submerged land borders about 100 parcels with homes, condos, retail and marinas, many of which have docks, the Palm Beach Post reported. Since 2017, the company has been named in five lawsuits involving the submerged land, none of which have been ruled on by a judge. The Ibis Way neighbors, who sued in September, are now hoping to defend their rights to access their backyard docks.